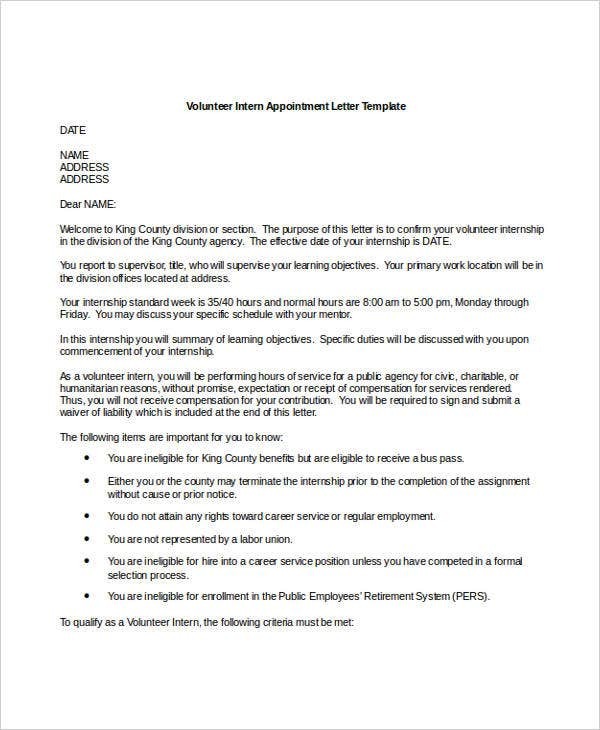 An internship appointment letter is the formal document that states the information about the offered internship or training program that a qualified candidate has accepted. 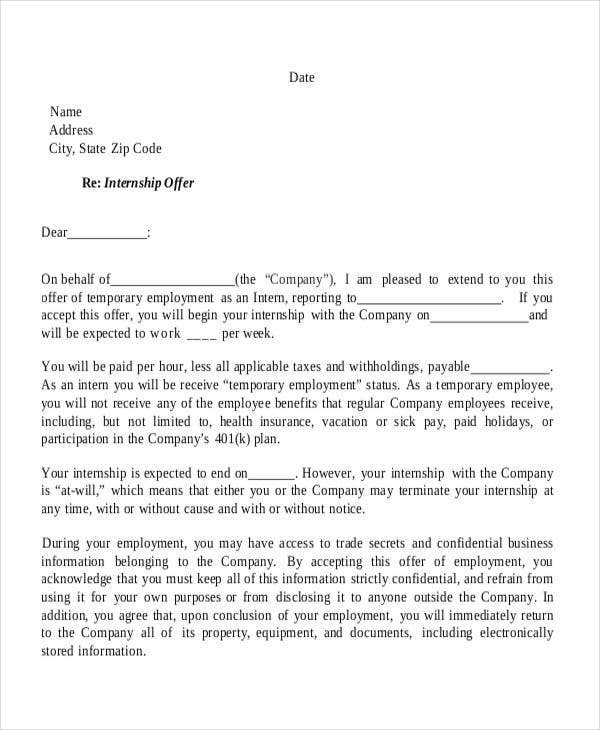 An Appointment Letter used in an internship program is very essential not only for apprenticeship documentation processes, but also for the candidate to be aware of the terms and conditions of the particular practicum appointment that has been given to him/her. 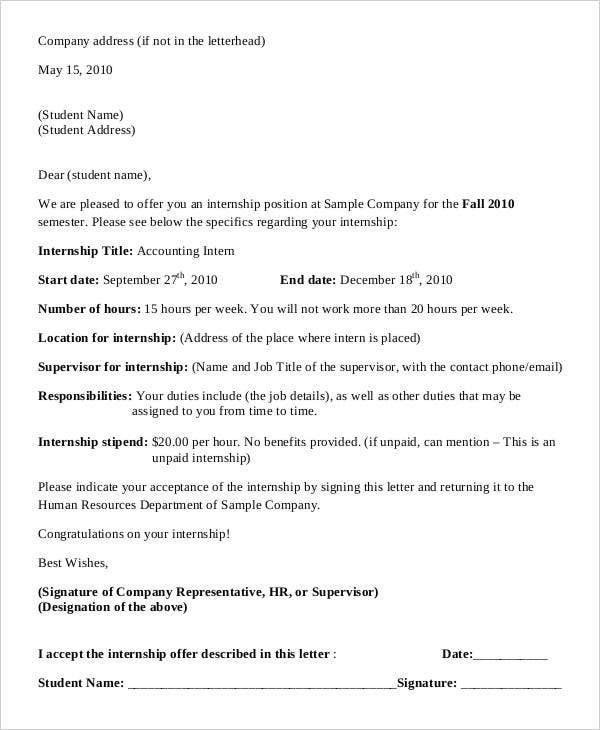 This post contains a collection of internship appointment letter templates and samples that you may use as references in creating the content and format of the specific document. 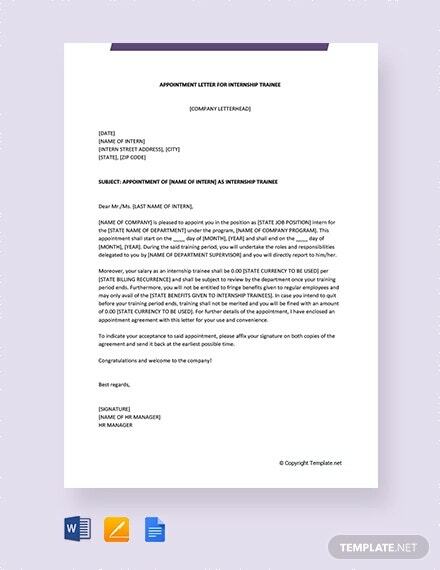 Other than that, we have other kinds of Appointment Letter Templates which you may all download in the provided link. 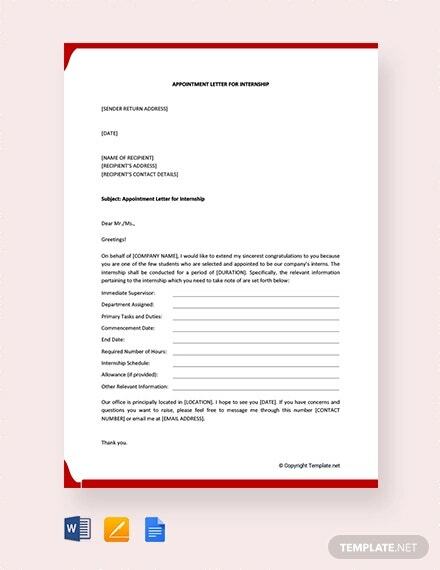 If you would like to have samples of other kinds of appointment letters, feel free to browse through our samples of Appointment Letter Templates and Interview Appointment Letters for references. 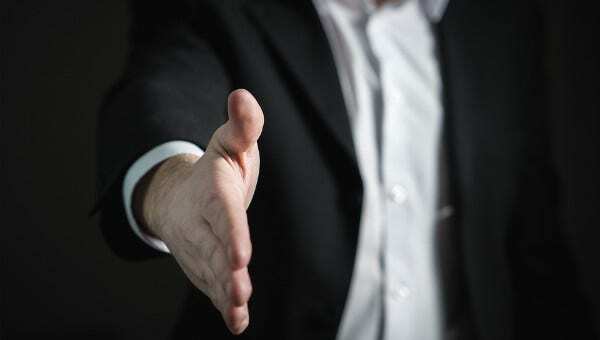 If you have received any Trainee Appointment Letters and you could not accept any or most of them, it is very important to be polite in relaying your decision to the company. After all, they were more than willing to offer you a slot in the internship program that you applied for. 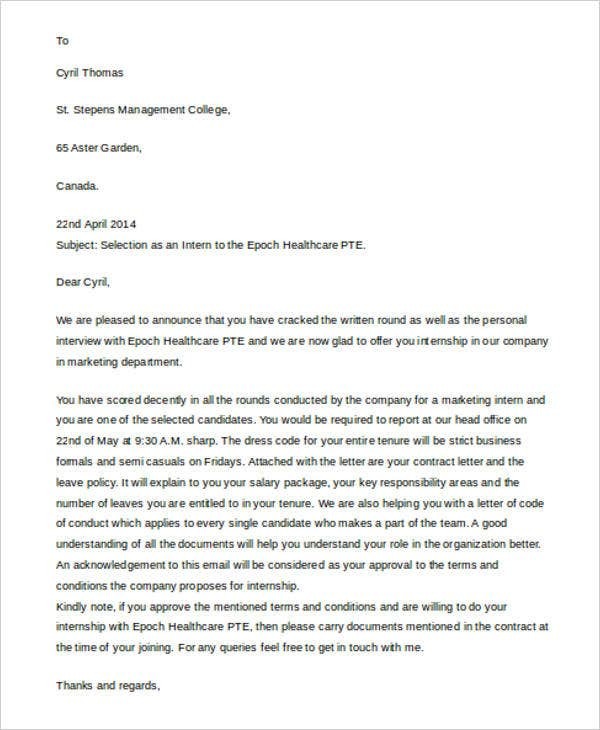 Ensure that you will use a professional and formal language when writing the internship appointment rejection letter. Always show your appreciation about the opportunity that the business would like to give even if you could not accept it. 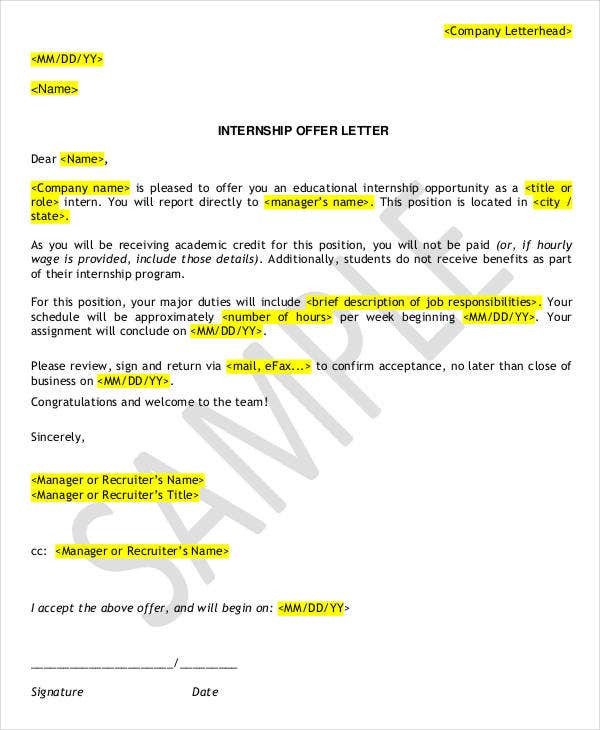 Make sure that you have made your reason/s clear on why you could not accept the internship appointment anymore. 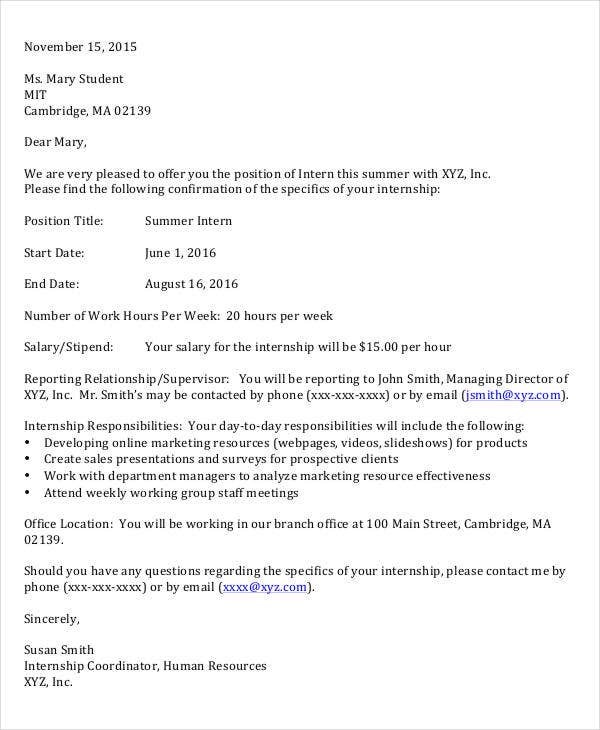 Always be organized in discussing all the items that you would like to relay to the company offering you an internship appointment. 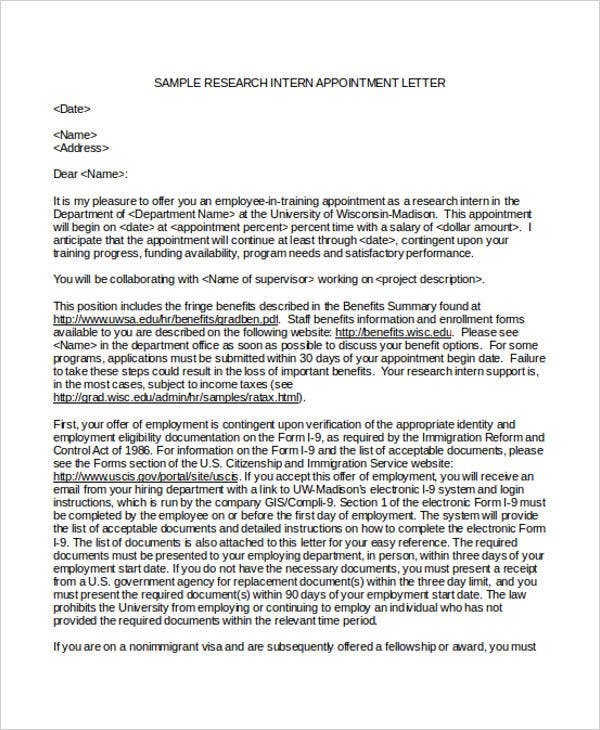 For your convenience, you can also use an internship appointment rejection letter as a guide in creating the format or structure of the document. 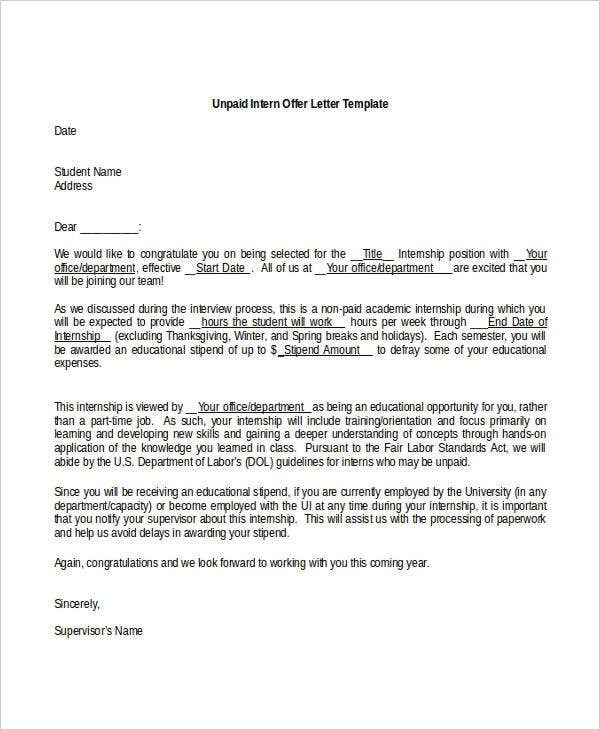 Other than our internship appointment letter templates, you may also want to learn more about the creation and usage of other kinds of Appointment Letter Examples.